Mommy Tots: How Can You Succesfully Work with Brands as a Blogger? How Can You Succesfully Work with Brands as a Blogger? I have been blogging for seven years already. Can you imagine? I have been holding on to this blog for that long! Though I am not doing this full time, I am proud to share on how I started working with brands and earning extra from doing what I considered a hobby. 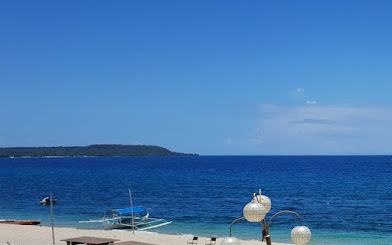 I admit that I sometimes got caught up from work and mommy duties that I contemplate on shutting this down, but I am left with a heavy heart just by thinking of leaving it all behind. It's a hard decision to make, it's actually more heart breaking compared when I decided to quit my five-year corporate job. I realized that this is what I enjoyed doing, sharing my thoughts and voicing out my opinion through reviews and collaboration. Event invites was an added bonus to socialized, help promote brands and meet up with fellow bloggers. It has been said that "Success doesn't happen overtime". As the old saying goes, you have to work and earn it. I started receiving sponsored post and products after a year of blogging. I started first with blog hopping to connect and learn from other bloggers, learning PR tactics was the key, it's learning from creative and strategic thinkers like Nancy Behrman that is now a titan of success, was such an inspiration to fuel myself up to keep the blog running. It was mostly learning from others that I get to established my online presence. If there is one thing that's remained constant in the PR industry over the past 30 years, it's the simple fact that every brand-building campaign ultimately relies on the strength of mutually beneficial relationship. We can learn from Behrman Communications with regards to developing our unique and ideal voice online. The very first step to success is to grow your audience. 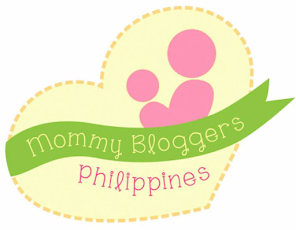 I became friends with fellow bloggers thru blog hopping, commenting and sharing their posts. We have to boost each other up, right? Also, joining groups can be very beneficial as it creates genuine connection and later creates appealing engagements to brands. Sharing useful products and content is a good way to start in building relationship with brands and to your audience. Find brand campaigns and discover new things to talk about and get rewarded for sharing your product experience. Make money creating content with this sponsorship marketplace. The more social accounts you connect, the more potential you have to make money. A complete link building service and online reputation management company. The World's Leading Blog Advertising Community, dedicated to building strong relationships between the bloggers and brands seeking relevant publishers with strong followings to engage with. One of the web's largest and most innovative marketing portals that caters to both Advertisers and Partners. From my experience, it was just a pure journal writing or an online diary until collaboration with brands started to hit my mailbox. So better relax and find fun ways to create an audience first and focus on content that is worth sharing. Remember, most brands looks for engagement, not large numbers. So be engaged and know your audience first. great tips and ive also been blogging for 8 years girl- and DONT do it full time ha. It's just extra fun :) love your blog + great tips! This is wonderful information Sis. This would be very helpful especially for new bloggers. Thanks for sharing. Yep, this is a good start up for new bloggers. I've been blogging for 7 yrs already too. It is a hobby that I'm not sure that I can't just give up, sa dami ng pagod. But at least, I can also earn a little from this hobby, from your list Nuffnang lang ko familiar. Oh? I've started with tomoson and socialspark way back year 2010, but now I am mostly with Diamondlinks and collaboration offers, para less stress na rin. Thanks for sharing. I'm a new blogger and this is info I've been looking for! Wow, good on you that you're earning well from blogging. I layed low last year to focus on my eldest son's activities but I'm back. But this time, I want to be more careful on the brands I partner with and yes, I agree that a partnership must be beneficial on both ends. I’m actually back from monetizing just recently. It’s actually hard to maintain business, home, kids plus the blog. But vowed to learn prioritizing and scheduling tasks so I can still catch up as media influencer. Blogging can definitely be so rewarding financially. From your list, I've only tried Socialspark and Nuffnang so far. Most of the blogging income I get though comes from local brands and PR agencies. I've been blogging since 2012 but more on just reviewing products as I've been busy working in corporate world. I am only familiar with nuffnang, this is a great help! Thank you. Thanks for this! Will check the first three. I vouch for Nuffnang and Linkworth (medyo delayed nga lang mag-cashout sa linkworth). Thank you for sharing with us your partners in blogging. I only know Nuffnang and the rest are very alien to me. My blog will just turn two this year and I hope to be able to last long just like you.